Jonathan began playing the violin at the age of 5 and made his concerto debut in the Royal Festival Hall, performing the Bach Concerti three years later. Aged 18 Jonathan began working professionally with the London Philharmonic and by 21 had played with all the major London orchestras. At 28 Jonathan became a Signed artist to E.M.I Classics as part of the group ‘The Planets’ which went on to sell 500,000 albums worldwide. After two years of solo performances around the world the group disbanded and Jonathan moved to commercial session work, where he has worked for the last 15 years and has racked up nearly 2000 singles to his name. His journey through the various genres of music has involved the cast albums for many musicals, including Legally Blonde, and also contributions to the soundtracks of a plethora of blockbusters including The Lord of the Rings trilogy, The Hobbit and Evil Dead. In 2011 he became the leader of the longest running and most famous show in the world, ‘Les Miserables’ at the Queen’s Theatre, London. Jonathan is the guest leader and soloist for many orchestras, including The Royal Philharmonic, BBCSO and Ballet Rambert. He continues to record and perform concertos, most recently for Oliver Davis and Paul K Joyce both of which were written especially for him. He also specializes in solo sessions and tracking/stemming work for producers and composers including Hans Zimmer. With Oliver Davis he recorded the jazz violin opening to an episode of the Simpsons for 20th Century Fox in 2013 which he counts as one of his proudest moments. That and leading the Orchestra of the Swan for an Archers garden party in Ambridge and tracking/stemming for the Thomas the Tank Engine movie. In 2017/18 he was the featured artist on ‘Sounds to Pictures’ volumes 1 and 2 which were recorded on £42million worth of violins. The compositions of singer songwriter Tim Arnold became show cases for the instruments of most famous violin makers in history. They included Stradivari, Guarneri Del Gesu, Amati, Bergonzi and Guadagnini. Sounds to Pictures 3 is scheduled for release in spring 2019. In 2018 ‘Lost Lake’ by Oliver Davis was recorded by the Royal Philharmonic featuring Jonathan as Soloist. The single reached no.4 in the classical charts and the Album no.1. 2018-2019 will see Jonathan releasing a trilogy of albums on Broken Thought Records. ‘Epic’ is a Jazz fusion EP featuring a collaboration with James Pearson the pianist and artistic director of Ronnie Scott’s, London. ‘Velocity! Live’ is a recreation of the similarly titled debut solo studio album he recorded in 1997. ‘Karma’ is an EP featuring the music of Arvo Pärt with the Musical Director and Producer Simon Lee on Piano. 2019 also sees the release of a double violin concerto by Paul K Joyce on the album ‘Celestial’ (narrated by Michael Sheen) and also Jonathan’s first Vinyl EP which features a 1697 golden period Stradivarius captured for posterity by GearBox Records at Mark Ronson’s studios at Tile Yard, London. 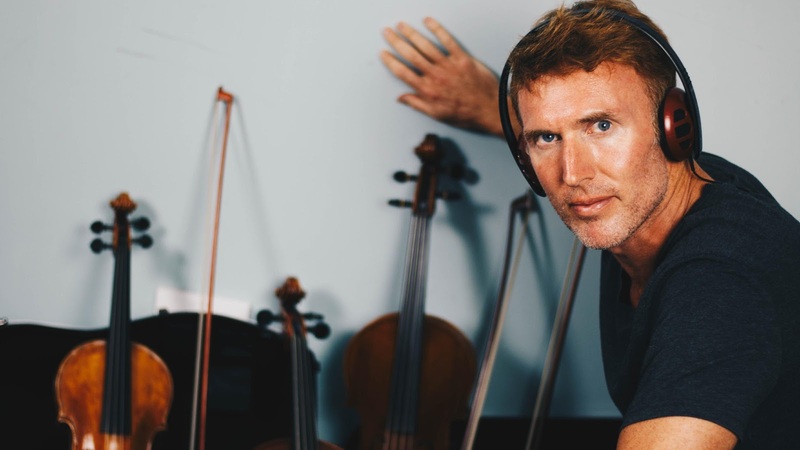 He has recently co-written a dystopian sound track album with the film composer Duncan Forbes and continues to collaborate with the prolific and very talented Cameron Sanderson, co-writing music for Film and TV and contributing strings to his albums. 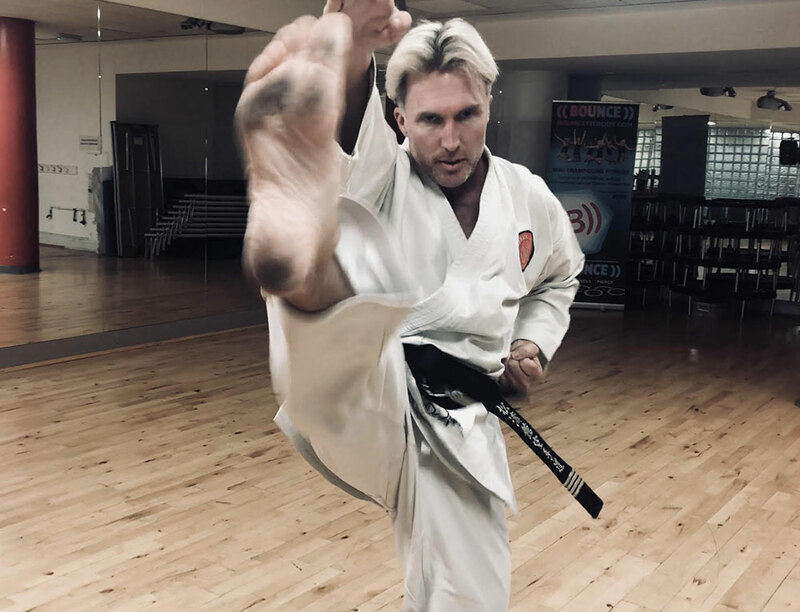 In and amongst this hectic schedule, Jonathan pursues his main interest of traditional Karate and is currently training for his fifth level (Godan) black belt. He is an assistant senior instructor with three clubs in the Shotokan Karate Association. In December 2016 Jonathan took over as Senior instructor at S.K.A Potters Bar. He is a keen athlete and enjoys ultra-marathons. Jonathan is proud to have a 1760 G B Guadagnini and an 1860 Dominique Peccatte as his main instruments, courtesy of Sean Bishop, Bishop Strings London.